It’s Lucie Jones For United Kingdom! Lucie Jones has been announced as the representative for United Kingdom at Eurovision 2017. The singer won the national selection show You Decide with song ‘Never Give Up On You’ earlier this evening in a six way contest hosted by Mel Geidroyc on BBC 2. This entry was posted in News and tagged Danyl Johnson, Emmelie de Forest, ESC, Eurovision, Eurovision Song Contest, Holly Brewer, Lucie Jones, Mel Giedroyc, Nate Simpson, Olivia Garcia, Salena Mastroianni, UK, United Kingdom, X-Factor, You Decide. Bookmark the permalink. Poll Results: You Think It Should Be Olivia Garcia For UK! 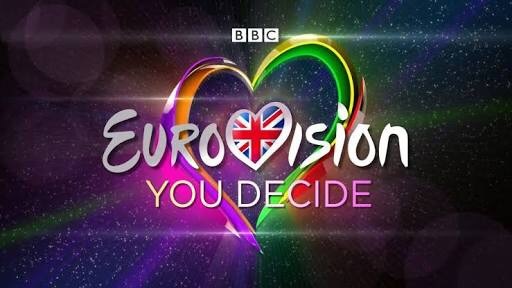 Earlier this week Ken Bruce unveiled the six contenders that will compete to be UK’s Eurovision 2017 pick on later this evening. Ahead of the show kicking off at 7.30pm on BBC, we reveal the results of the poll that you have been voting in since Monday. This entry was posted in Poll and tagged 2017, Danyl Johnson, Emmelie de Forest, ESC, Eurovision, Eurovision Song Contest, Holly Brewer, Lucie Jones, Mel Giedroyc, Nate Simpson, Olivia Garcia, Salena Mastroianni, UK, United Kingdom, X-Factor, You Decide. Bookmark the permalink. Ranking: UK You Decide 2017 Contenders! Earlier this week Ken Bruce unveiled the six contenders that will compete to be UK’s Eurovision 2017 pick on friday night. We have had a listen to all the songs and share our views and rank them below. This entry was posted in Ranking and tagged 2017, Danyl Johnson, Emmelie de Forest, ESC, Eurovision, Eurovision Song Contest, Holly Brewer, Lucie Jones, Mel Giedroyc, Nate Simpson, Olivia Garcia, Salena Mastroianni, UK, United Kingdom, X-Factor, You Decide. Bookmark the permalink. This entry was posted in News and tagged 2017, BBC, Danyl Johnson, Emmelie de Forest, ESC, Eurovision, Eurovision NI, Eurovision Song Contest, Holly Brewer, Lucie Jones, Nate Simpson, Olivia Garcia, Salena Mastroianni, UK, United Kingdom, You Decide. Bookmark the permalink.